BURNING BRIDGES et BRIDGES ARE OURS sont les tout nouveaux, sixième et septième, ouvrages de la série « Opérations ». 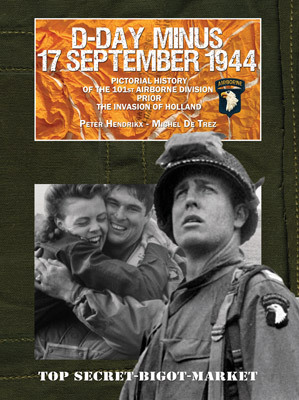 Michel De Trez and Peter Hendrikx have compiled the complete pictorial history of the 82nd Airborne Division during Operation Market Garden and its aftermath. 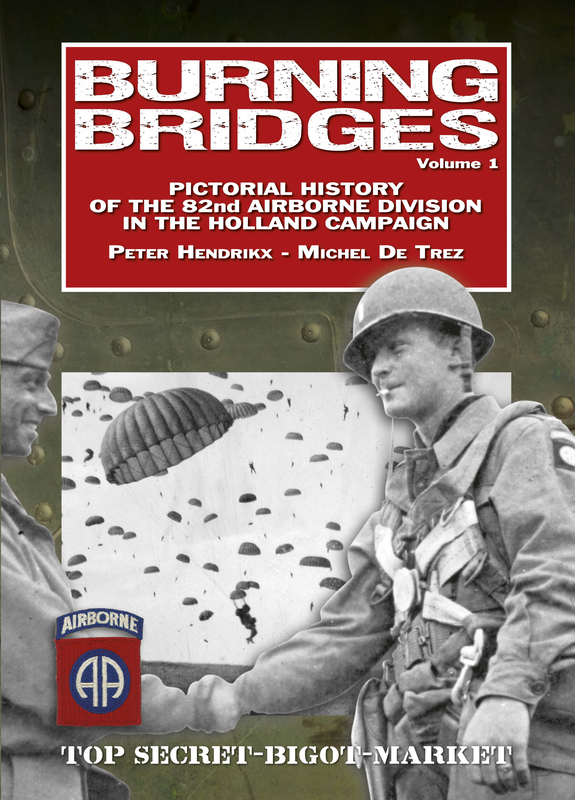 “Burning Bridges” (volume 1) and “Bridges Are Ours” (volume 2) are the culmination of 35 years of airborne history research and contains 976 pages and over 1,600 photographs, most of which have never been published before. All photos are identified either by date, location, name of individual soldiers, equipment, or historical context. Often all these leads have been identified. This resulted in erudite and extensive captions. Rare identified airborne equipment, documents and artifacts from the December44 and D-Day Experience Museums’ collections and local collections are spread throughout the book. Although the authors’ intentions were to compile a pictorial history, extensive research in American and British archives also lead to a better understanding of why Operation Market Garden ultimately failed in its mission. 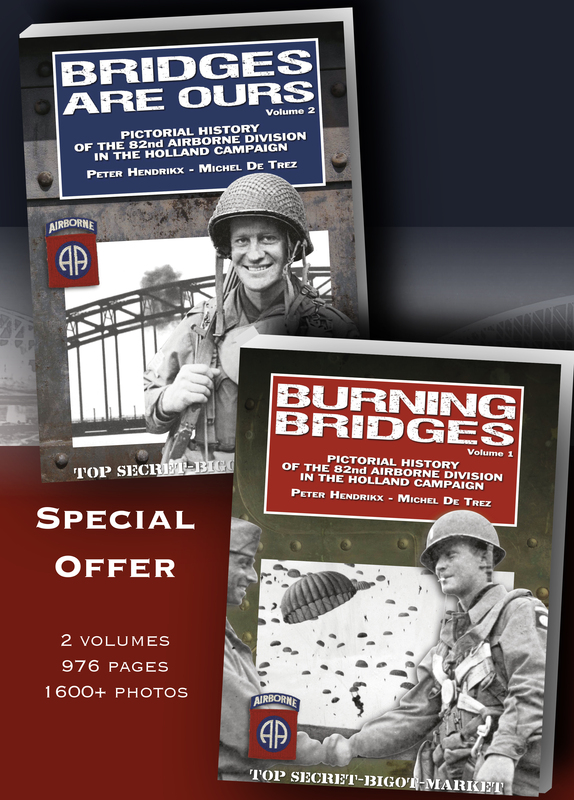 “Burning Bridges” begins with the introduction, where the decision-making process that led to Operation Market Garden is explained in great detail. 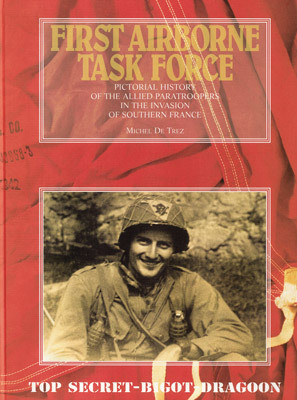 The subsequent chapters discuss the preparations in the marshalling areas in England, the activities of the Pathfinders, and the boarding of the aircraft by all paratroop regiments and battalions. The glider lifts are also well covered by many newly discovered photographs. After the entire division was airborne, “Burning Bridges” continues with the actual drops at the drop- and landing zones as well as the first two days of combat. The drop of the 504th Regiment and the capture of the Grave Bridge and the bridges over the Maas-Waal Canal are covered first. Hundreds of photographs, documents and artifacts tell the successful story of the capture of the bridges. The landings of the 505th and 508th Regiments on Drop Zones N and T in Groesbeek, east of Nijmegen are also covered. The Germans were overwhelmed and resistance was still negligible. It was the quiet before the storm. “Bridges are Ours” begins with the fight for the Nijmegen bridges. Roughly, five different attacks took place and each is dealt with in great detail. The main attacks on September 19 and 20, when the 2nd Battalion of the 505th Regiment, supported by British tanks, attacked both the railway and the road bridges from the south are discussed in detail. When the German defenders would not budge, the 504th Regiment was ordered to cross the Waal River in small boats, an action called by many one of the most heroic actions of WW2. De Trez and Hendrikx untangle the decision-making process of the Waal crossing and provide a detailed description, illustrated with many artifacts. After the 82nd Division accomplished all its missions, the last regiment is inserted in the fight. The 325th Glider Regiment was delayed for many days due to bad weather and dangerous planning. However, in the defensive battles that followed, the 325th Regiment played an important role. “Bridges Are Ours” continues with the defensive battles of the 504th, 505th and 508th Regiments and its supporting artillery battalions. The activities of the glider pilots, members of the Air Force who were called upon to perform as infantry, are also covered. Many newly discovered photos tell a story of danger and misery. Units of the Division Headquarters, such as the Military Police, the Signalmen and the Medical Battalion are also well documented in “Bridges Are Ours”. The final chapter provides a critical assessment of the leading commanders of Operation Market Garden and their roles in the decision-making process and the execution of the operation. Sources in British and American archives shed new light on the historiography of Operation Market Garden. lectus fringilla ipsum leo. odio vel, adipiscing venenatis dolor. porta.